(HOLLYWOOD PRESS CORPS) September 16th, 2017 — The non profit horse sanctuary, known as Skydog Sanctuary, hosted a VIP event in Malibu that introduced their organization to Malibu and Los Angeles. They are raising awareness for their cause and reaching out for volunteers. Skydog Sanctuary is a non-profit organization that provides sanctuary for horses that have been neglected, abused or wound up in kill pens. Guests at the luxe event where invited meet some of the beautiful horses and come together for a good cause. The afternoon was idyllic and relaxed. Wise BBQ provided delicious bites and refreshments. 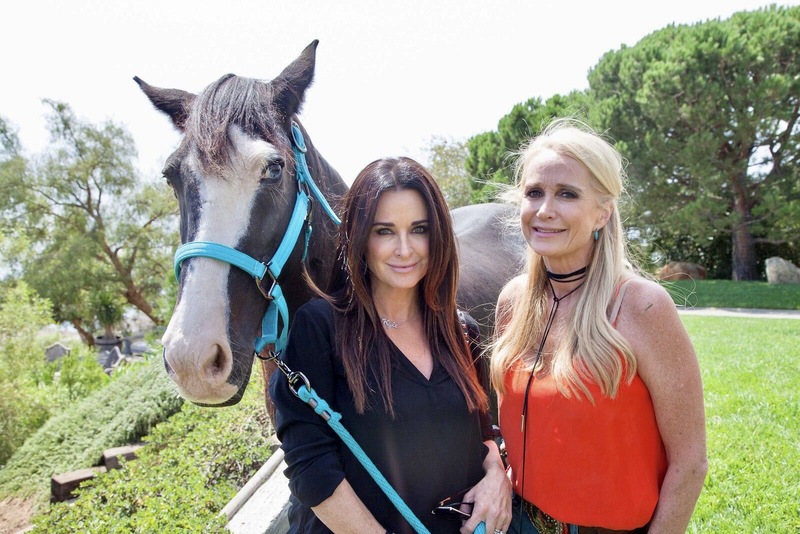 Actress Kyle Richards was on hand to support this philanthropic event. Kyle worked with the late Tobe Hooper on the movie Eaten Alive. Kyle is most recently featured on The Real Housewives of Beverly Hills. Kyle attended with her daughter Portia Umansky and sister Kim Richards. Kim is also featured on the Real Housewives of Beverly Hills. Kim’s daughter Brooke also came to see the horses with her husband and son Hucksley. Rachel Hunter posed for photos with the horses that she knows so well from past visits to the ranch. 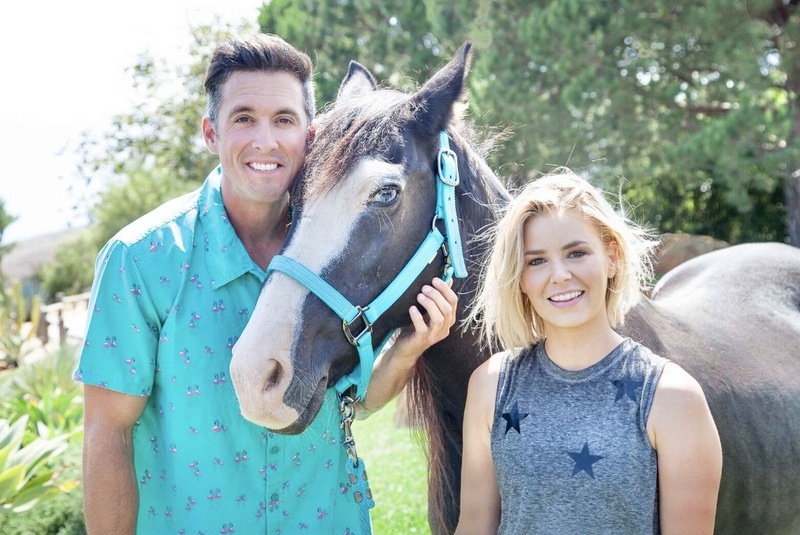 Below Deck Mediterranean star Bobby Giancola and Ariana Madix from Bravo’s Vanderpump Rules walked into the event excited to meet the horses and animals. Ariana was seen filming the horses for her Instagram and also the tortoise. The party was put together by Skydog Sanctuary founder, Clare Staples-Read, who once again hosted a beautiful afternoon at the ranch. 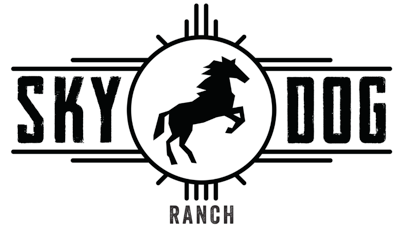 Skydog Sanctuary is a non profit organization that provides a rescue home to at-risk mustang horses in America. They have three locations in Malibu, CA, Calabasas, CA, and Bend, OR. Skydog is a forever home for wild horses providing sanctuary for mustangs that have wound up in kill pens, at auction, or being neglected, starved, or abused. Many of these horses are recused hours away from being shipped to slaughter in Mexico or Canada to be killed for their meat and served on foreign dinner plates. Tragically every year over 150,000 American horses are sent to be inhumanely slaughtered and many of those are mustangs. Skydog Sanctuary’s biggest, most important mission is to shine a spotlight on the issues facing our wild horses while continuing to rescue as many as possible. By spreading awareness of the situation we can show how special, valuable, and unique these wild horse are and create pressure to find alternative solutions that don’t require unnecessary killing, or captivity, for these beautiful animals. Visit Skydog Ranch for more information on donating or volunteering.